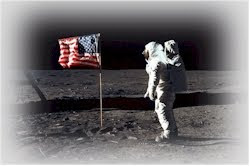 The Coalition to Save Manned Space Exploration: The 41st Anniversary of the Moon Landing! Watch the historic landing and first step on the moon on this, the 41st anniversary! Then resolve to keep the dream alive for the future and call/write Congress to go to the Moon, Mars and an asteroid in this decade!